As British summers go, we’ve had a pretty good run this year. With the warm weather arriving in June and only a few days of rain having fallen since, there have been plenty of chances to get outside and experience what it’s like to have a real summer. 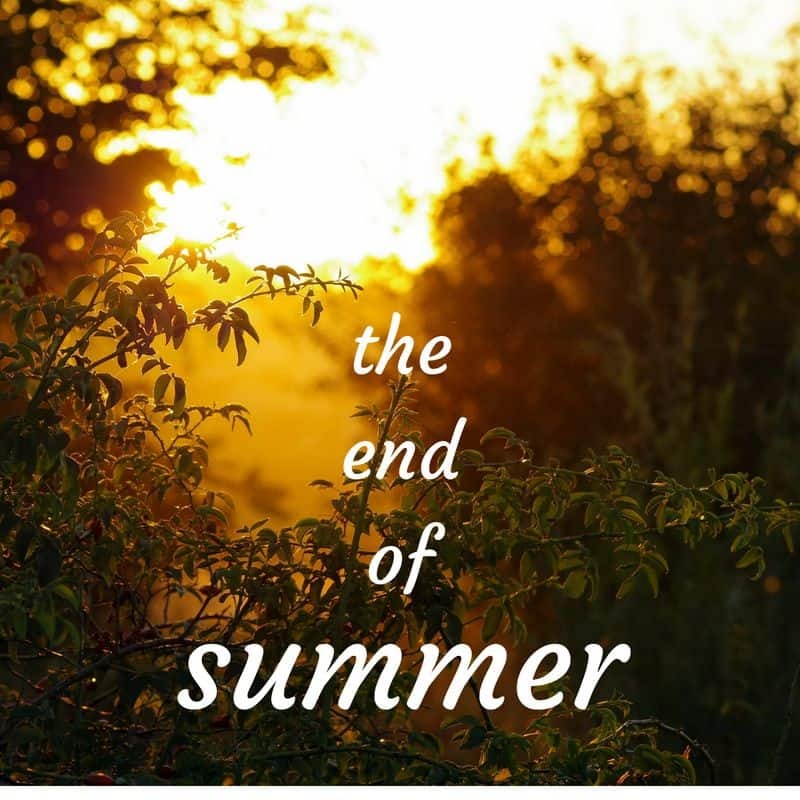 Whilst children are heading back to school and, for most of us, the annual summer holiday is now a memory, there’s still a little time before the colder weather sets in, so don’t rush to put your boots and jumpers on too soon. Here are our favourite ideas for seeing off the summer well. If you’ve not made it to the beach yet this summer, now is certainly the time to head to the coast. Even if you’ve been most weekends since June, there’s not long left so make the most of it whilst you can. If you’re brave enough, going for a swim can be great fun. Otherwise, just dip your toes in for a paddle, take a long stroll and/or play games on the beach. If you’ve got young ones, they’ll never tire of building sandcastles or burying Dad in the sand. Before you know it, we’ll be stood in our thermals drinking mulled wine and baileys hot chocolate, so enjoy those summery drinks whilst the sun’s still out. Aperol Spritz has given the classic G&T a good run for its money this season, and either (or both) are perfect for a summer’s evening in the garden or catching up in a bar with friends. Alternatively, there are a whole range of fun and fruity cocktails to make your way through. We’re by no means against opting for any of these drinks during the winter, but they do seem to bring an extra level of pleasure when the sun’s shining. Don’t let the dull days draw in prematurely; waking up to a splash of colour will keep you in that summer mood. This can be done in many ways, such as the clothes you wear or small decorations in your house. One fail-proof way of keeping spirits up is having flowers around the house, so why not keep a vibrant bunch on display to keep the summer vibe alive? If you have a second half you can give them a nudge on this front, but there’s no shame in buying flowers for yourself; if you need a justification simply fill out one or two of our paid surveys to cover the cost! For many of us, barbecues form part of our stable diet over the summer months, and with good reason! They make an easy a delicious meal, and eating outside is one of the best ways to enjoy good weather. Barbecues also make some of the best social occasions, so as the summer draws to a close, invite your friends and family round, flip some burgers and open a few drinks before you have to bid farewell to our beloved barbecue. Until next year, old friend.